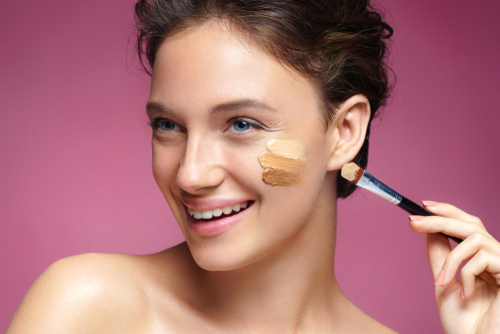 Applying a foundation is exactly like adding another layer of skin, that's how well it needs to match your skin tone. And that’s why picking the right one from the shop shelf is more important than you realize. You’ve heard of 40+ shades of foundations. You also now about all types of foundations, from powder to cream and serum-like water foundations. But what makes BB, CC and DD cream a part of foundation family? What do these abbreviations really mean and why is everybody so obsessed with them? These creams have been around for a while now and honestly, makeup artists can’t remember the beauty world before these beautiful babies came in the picture. BB of BB cream stands for blemish balm or beauty balm. It’s a multi-tasker and is used as a primer, foundation and moisturiser. CC of CC cream stands for colour correction. Yeah, that’s pretty much it. It’s used as a colour corrector and is a pro at camouflaging redness, sun spots and hyperpigmentation. DD of DD cream stands for dynamic do-all. This one is like a hybrid of BB and CC cream. It’s made to prime, perfect and protects your skin instantly and over time. The Blemish balm or beauty balm is neither just a tinted cream nor it is only a foundation, it’s more than that. BB cream’s special formula allows it to perform more than expected. It’s a primer, foundation and a moisturiser, all in one. But when we already had the three products in the market, how did a cream like that come into existence? Well, Korean women wanted an alternative for the basic foundation as they were too thick and heavy for their taste. Hence, the BB creams started exploding in the Korean beauty market. A BB cream is lightweight when compared to the traditional foundation but offers full coverage as a normal foundation does. It has a smoother texture so it doesn’t look cakey when someone’s standing up close. For flawless makeup experience, it can also be used as a primer as it will even out the skin tone. It also contains moisturising ingredients and SPF which can keep your skin hydrated without the application of any external moisturiser. Much like foundation, BB cream comes in a range of shades which can be divided into three categories - 10 Luminous, 20 Aglow and 30 Radiance. Each category further has three variants of shades. 10 Luminous is for light skin with yellow undertones. 20 Aglow suits well on medium skin with yellow undertones. 30 Radiance is for tanned skin with yellow to neutral undertones. 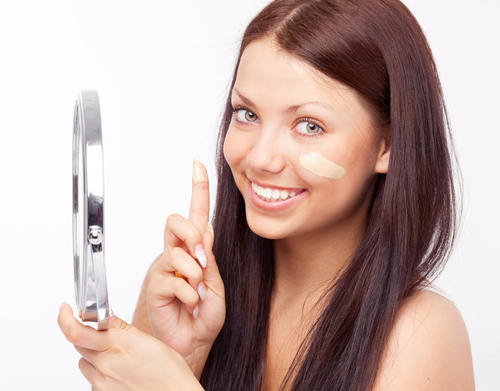 BB cream is great for dry and flaky skin as it doesn’t accentuate wrinkles, scars and fine lines. It rather provides them dewy coverage and illuminated complexion. BB Cream has been in the market for a while now and has proved itself as a serious contender in the base makeup coverage category. This all-in-one cream covers all your skin’s needs from hydrating it to protecting it against the damage. It creates a natural texture on the skin. They range from barely-there tint to middle coverage and some of the brands add SPF to their BBs to provide protection against UV rays as well. If your skin is acne prone and oily, it is best for you to use an oil-free BB cream as it’ll set in perfectly. They are rather beneficial for breakout sensitive skin. There is a reason why they are called ‘blemish balm’ after all. The only issue with these creams is that the shades are still limited. So if you find your perfect match, BB creams are the best. On the other hand, foundations are time-tested and thanks to Rihanna, we’ve already seen about 40 to 50 shades of foundations in the market. Makeup artists opt for them when a superior coverage is needed. If you are looking at something that can last all day long, a foundation is what you need. BB creams do provide moisturising but the foundation can be hydrating as well if you pick the right one. Not all foundations are hydrating but there are many hydrating foundations that are in the market which can give your skin a healthier look. Luckily, there isn’t a lack of shades in foundations anymore and it works for the best as when you need full or medium coverage, you need the shade to perfectly match your skin. And in case, you have oily skin, you can always go for a water-based foundation. Why & How To Use BB Cream? BB creams are light and easy-to-use and as you don’t have to add another layer of primer and moisturiser to your face, it reduces two-third of your work. It has both skincare and makeup benefits. Not to forget, it also works as a sunscreen. 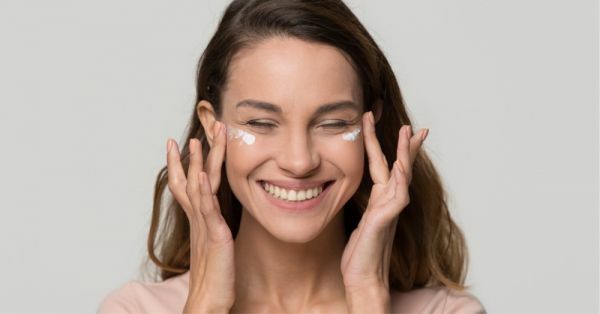 These creams are time-savers for your early mornings and their application is impossible to mess up. It’s ideal for a busy woman as it combines skincare ingredients, sunscreen, antioxidants and light coverage. To use a BB cream, you don’t need an in-depth beauty regimen. You just need a pea to a dime-sized amount of BB cream to start with. Take it in your palm and rub it to warm it up and apply it on your freshly cleansed, bare skin. That’s it. You’re done. If you have extra dry skin, you can apply a moisturiser underneath BB cream before you apply it. It’ll hydrate your thirsty skin. You can also use the beauty blender, a sponge or brush to spread the cream, however, I recommend using fingers as that would be the quickest and fuss-free way to do it. It’s not sticky, so that won’t be an issue. The whole point of making a BB cream was to keep it simple and easy, unlike foundation. 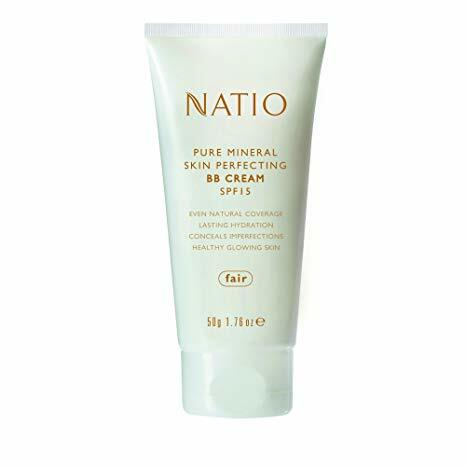 Whether you have dry or oily skin, this BB cream by Natio is the one to go for. It has shea butter and jojoba that are great to lock in moisture. It also has green tea and chamomile to soothe skin and eliminate redness. 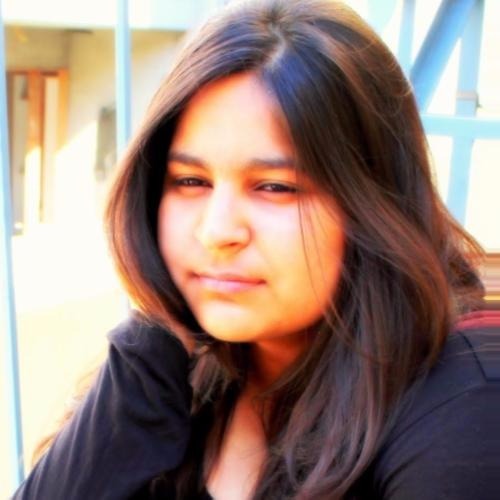 Price: Rs 1,060. Buy it here. Finding the perfect match for your skin tone is always an issue when selecting your bb cream. 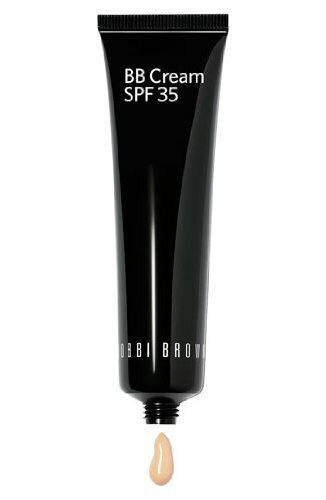 Thankfully Bobbi Brown’s BB cream comes in 8 shades to match your skin tone. Plus its cream formula boosts hydration, reduces the appearance of fine lines and has light-reflect pearls that brighten the look of your skin. Price: Rs 3,850. Buy it here. For years, CC cream aka ‘colour-correction’ cream has been a popular makeup essential in Asia and Europe. Unlike multitasking BB cream, CC cream just focuses on the colour correction part. The primary role of a CC cream is to battle uneven texture and tone. While BB cream is like a light foundation, CC cream doesn’t provide an overall coverage but can camouflage redness, pigmentation and spots. CC cream is for the people who have skin with hyperpigmentation. With its matte finish, it gives a flawless and lightly concealed look to the skin. CC cream won’t act as a three-in-one item for you but might do double duty and work as a foundation if you are okay with a super light version of a foundation. It has become a favourite to many as it hides spots and redness without feeling heavy. CC creams have more of a whipped, light and fluffy feel and finish. For some, it works like an improved version of BB cream. And some brands do add SPF to their sunscreens, for instance, Lakmé CC cream. 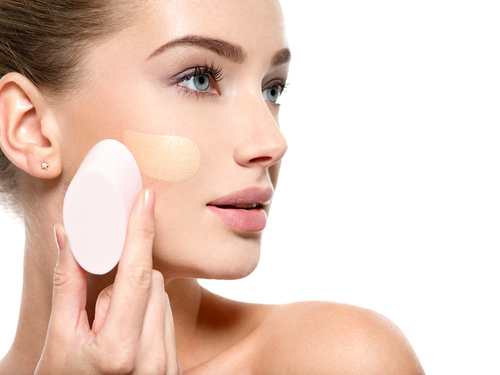 The best way to apply a CC cream would be through beauty blender, however, in the absence of that, you can also use your fingers to widen the coverage. 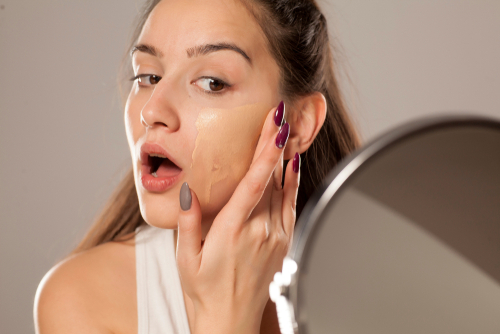 However, at this point, you are aware of the consequences of ditching your foundation, you may not know how much trouble this replacement deal can save you from. With a much wider range of shades, a foundation still wins it for some people for the ones who are looking to hide the redness and fine lines, CC creams can do wonders. The best part is that it doesn’t weigh you down with cakey behaviour, it always feels light and easy. CC creams are good for the days when you are not intending to wear heavy makeup or are in a rush. It’s even better for the days you don’t feel like working up your way to a complex makeup routine. 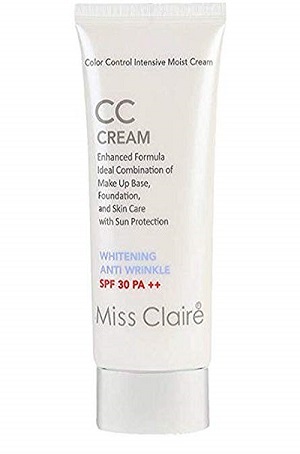 CC creams offer less coverage than foundation but it certainly offers more coverage than BB cream, which means if you have any visible spots and redness, you can cover them using CCs. On the days you are looking for added skincare benefits in a foundation, CC cream would be a saviour. Go for a CC cream that is formulated with broad-spectrum sunscreen so you can reduce one more step from your daily beauty regime. Why & How To Use CC Cream? Should you be using a CC cream or you must continue with your good old foundation? It’s basically a question for your skin type and skin tone. If your skin is too dry and is highly uneven in tone and texture then the foundation will be a better option for you as it provides more coverage when compared to BB or CC cream. If your skin is not causing you any such trouble and you are up for a no-makeup makeup look, then go for the creams as per your need. By using a CC cream you highlight the areas, add depth and dimensions to your cheeks. While choosing a CC cream, go for a product that’s both lightweight and nourishing to the skin. However, when applying a CC cream, you need to be careful as its even application is a task. Always apply on clean and moisturised skin. As it’s a liquid product, use a beauty blender for application but in case you don't have the sponge, use your fingers. Blending is a bit crucial here. If you want to achieve a seamless finish, the right way to apply would be to dotting it over the cheeks, chin and forehead and then, blending it in a circular-patting motion. You’ll have to build the coverage that’s needed. From all the CC creams out there, I doubt you'd pick this one first (but you should!) It’s an all-in-one makeup and skincare solution. With SPF 35, it also acts as a sunscreen. Over time it brightens the skin and improves skin clarity. Every review of this product is a positive one and you'll be happy to know this CC cream will give your skin an even-toned finish. You won't find this cream at the local drugstore so you might as well order it online. With its skincare and makeup solution, it sells like hotcakes and is believed to be one of the best CC creams out there. First, there were foundations, then there were BBs, then came the CCs and now, it’s the rise of DDs - the ‘dynamic do-all’ cream. As the name suggests, DDs are literally do-it-all creams. They are designed to prime, perfect and protect your skin, both instantly and over time. Along with all that, these lotions also have anti-ageing credentials. They also help the skin in getting rid of wrinkles and fine lines over time. DD creams are worn as the next layer after moisturiser instead of foundation. It can be the star of your base-makeup kit. The best deal with DD cream is that it doesn’t cover up the good skin with the bad skin and spots. It rather gives a sheer coverage that evens out everything. It performs both makeup and skincare duties at the same as in addition to covering the spots, it protects the skin and combats the signs of ageing including fine lines and wrinkles. The ingredients and formula in DD cream are such that they focus on defending your skin from environmental damage such as pollution resulting in healthier skin. Now, you know why everyone has been crazy about the DDs. So are they worth your time and money? My vote is yes. Why & How To Use DD Cream? DD cream gives you the benefits of both BB and CC cream. So unless you have a specific reason to use BB or CC or foundation, DD cream would be your best bet. It has BB’s skincare benefits and SPF and CC’s colour correcting credentials. As DD also targets the signs of ageing such as fine lines and wrinkles, it is counted as a better buy. As mentioned above, with DD creams you get protected from pollution as well. As far as the application of DD cream goes, it happens best with your fingers. I have tried it with a brush, I have tried it with a beauty blender but fingers do the best job. Start applying it from your cheek and then spread it further to your chin, eyes and forehead. It blends well and stays for about five to six hours. It doesn’t stay for longer than that so don’t expect a twenty-four-hour coverage. But for a few hours, it doesn’t wear off too much. It’s not too shiny but adds a glow to the skin. It provides a light to medium coverage. And it shows more coverage after you let it set to the skin for a while. For base makeup with DD cream, all you’ll need is the cream in the right shade, a bit of concealer around the eyes (only if you have dark circles) and powder to set it (if your skin is oily). 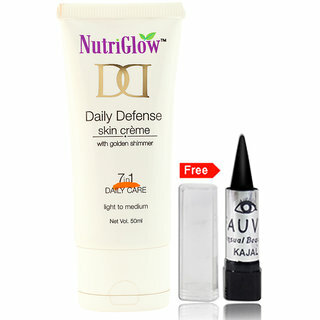 If you want a little shine in your daily makeup routine, then this DD cream from Nutriglow is for you. Like any good DD cream, it’s hydrating and its mineral clay formula gives 12-hour shine control. What makes it unique is that it has gold shimmer in the mix, making it great for night-time too. Price: Rs 259. Buy it here. This may sound too good to be true, but Lotus Herbals Xpress Glow 10 in 1 Daily Beauty Cream really does it all. It hides dark spots and imperfections. It also provides your skin with all the moisture and sun protection it requires. Plus, It’s not just a superficial tinted cream but works on treating skin too. Price: Rs 293. Buy it here. What Is The Difference Between BB, CC & DD Creams? Still confused? We’ll break it down for you again. All three of them are used in base makeup. Their functions are similar but if you choose as per your skin type and tone, all three of them are pretty different. If you feel that your foundation feels heavy and serves just one purpose, the better option would be to go for a BB cream that compliments your skin tone. A BB cream will work as a primer and foundation for you and it will also moisturise the skin. However, a CC cream is used as a colour corrector or complexion corrector which hides blemishes and pigmentation. It has light diffusing particles. If you are comfortable with a super light foundation, your CC cream can become your new foundation. But if you are looking for something that can work as a BB as well as CC cream for you, then go for a DD cream. DD cream acts as a protector of the skin against pollution. It eventually evens out the skin instead of just hiding the blemishes. It’s good for both, your skin’s health and looks. DD creams are anti-ageing, they have SPF and can act as a primer, sunscreen and sheer foundation. Apply it after you have put on your moisturiser and skip the foundation. Now that you know exactly what BB, CC and DD creams are, which one are you planning to try first?